A special inter-ministerial committee is to be set up to finalise government’s broadband policy, government spokesman Themba Maseko said on Thursday. Briefing the media following cabinet’s regular meeting on Wednesday, he said the draft national broadband policy had been tabled and discussed at the meeting. Cabinet decided that an inter-ministerial committee would be established to finalise the policy. 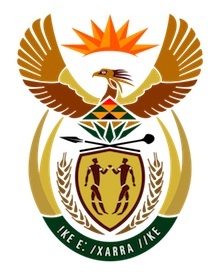 The committee would consist of science & technology minister Naledi Pandor, public enterprises minister Barbara Hogan, rural development & land affairs minister Gugile Nkwinti, economic development minister Ebrahim Patel, and public service & administration minister Richard Baloyi. Maseko said cabinet also approved the radio frequency spectrum policy. The policy sought to, among other things, ensure efficient use and management of the radio frequency spectrum, facilitate the achievement of key socioeconomic objectives, such as increasing access to information communications technologies, create an information society via wireless technologies, and ensure access to broadband services and public service broadcasting content.